Max O'Sullivan (left) and Patrick McCarthy will bring senior level training to the Under 18s. 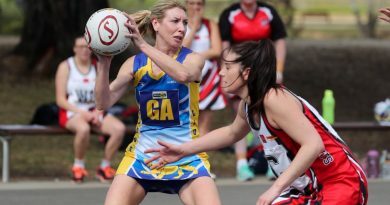 Kyneton Football Netball Club is widening its net in its search for an Under 18s coach for the 2019 Season. 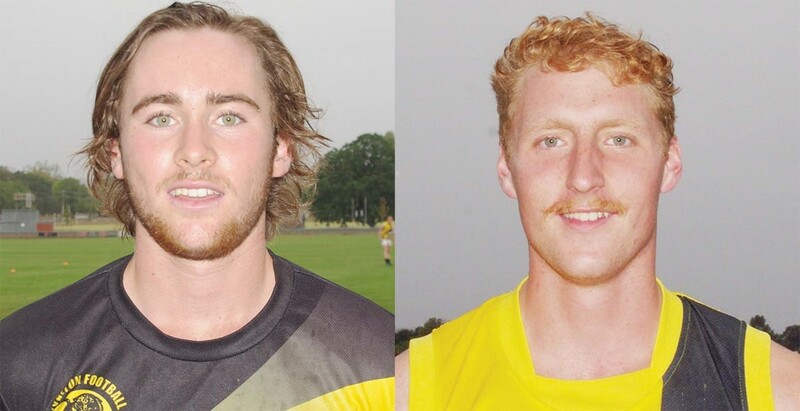 The yet -to-be-appointed coach will have excellent support from two of the club’s senior VFL players. Patrick McCarthy is listed with the North Melbourne Football Club’s VFL department and Max O’Sullivan is training with Carlton’s VFL squad, the Northern Blues after two years and eight games with Richmond’s VFL. KFNC director of football Rob Waters said Kyneton had an exciting opportunity for an Under 18s coach. “The future coach will be well supported in the role by Max and Paddy who are locked in as his assistants,” Rob said. 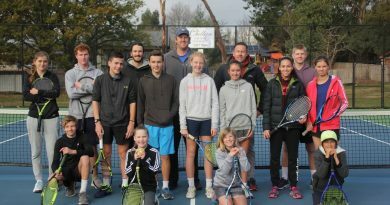 Kyneton has an exciting group of junior players waiting for the right direction and guidance. Many of this year’s U18s played in the club’s U18s premiership team in 2017. Max O’Sullivan decided to step up to help out. 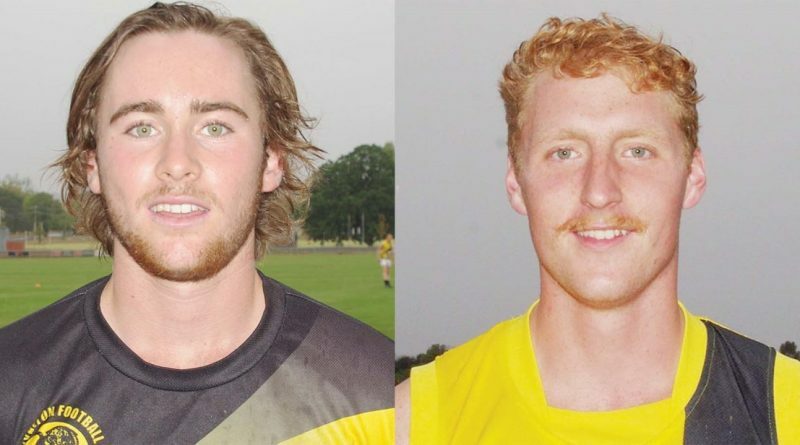 “Paddy and I have both experienced football training at a high level and we want to give back to the Kyneton Tigers and help out the guys coming through the ranks,” Max said. If interested in the role of Under 18s coach please call Rob Waters on 0422 231 278. A remuneration package is negotiable. Guccione, standing centre, with members of the squad. 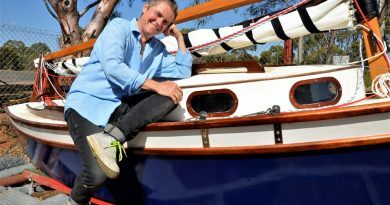 Campbells Creek's Luca Royle with the Aunty Su sailing boat.